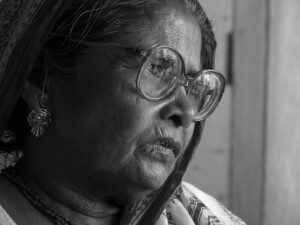 Subhashini Mistry lives in a village called Hanspukur just about 20Km south of the city center of Kolkata. Her husband died of gastro enteritis in the 70s. He was a poor labourer. Soon after his death, she decided that she would not let anyone else face the kind of difficulties she had to face due to lack of healthcare. She had to bring up her five children and keep her own body and soul together. Over the next twenty years she toiled as a housemaid, manual labourer and vegetable seller and saved 20000 rupees. Meanwhile she educated her son Ajoy Mistry and got him to be a doctor with help from philanthropists. She got the residents of Hanspukur to pool in more money and established a trust called “humanity trust” and bought about half an acre of land and established a hospital in a small hut.